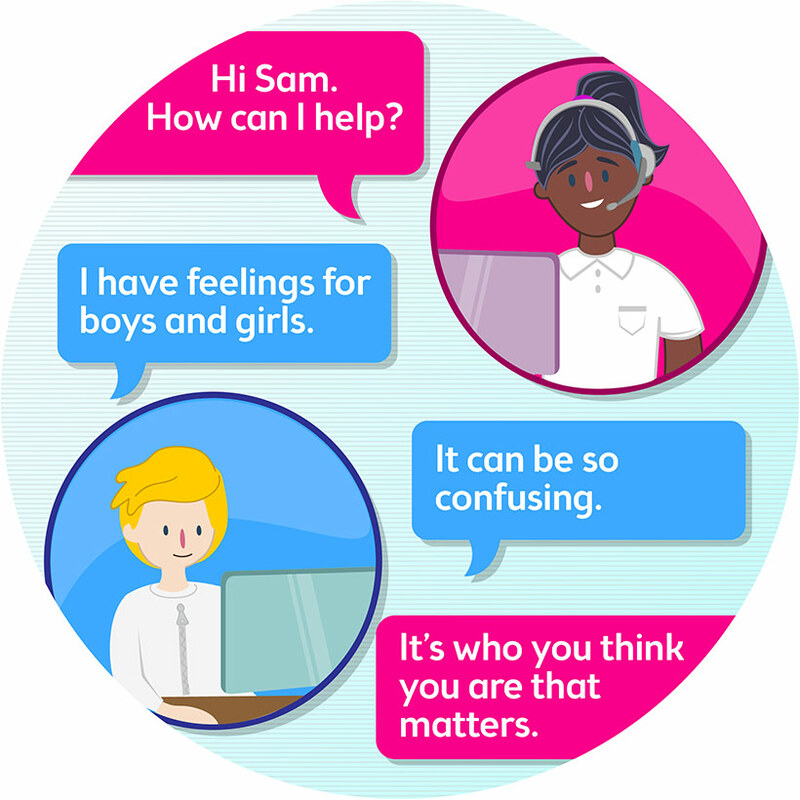 Sam was confused about his feelings, until he started a WebChat with Kids Helpline. "One day I know these feelings for him will go and I will find someone who I can love and know that they'll love me back as well." At first when people found out I was bisexual, they just thought I was in denial about being gay. I started to like another boy around my age. It wasn't easy... he didn't want anything to do with me and didn't want to talk to me after finding out that I liked him. That was the hardest part. Luckily I've had very supportive friends, but my family still don't know. That's where Kids Helpline came in. I decided to try WebChat. Though it was scary at first, this lovely woman helped me through a lot. She made me realise that what other people say doesn't matter, it's who you think you are that matters. Now I know that I cannot help how I feel.